The Department of Works and Highways (DPWH) said it is preparing for three expressway projects that it will bid out by middle of 2014. 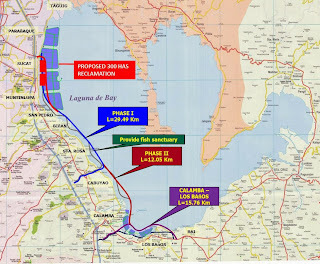 The ₱36.74 billion Laguna Lakeshore Expressway Dike involves the construction of a 41.54-kilometer four-lane road dike, including bridges, pumping stations and ancillary flood gates. The road starts from Bicutan, Taguig, connecting to the proposed C-6 Expressway Road Project. It will traverse Taguig, Parañaque, Muntinlupa in Metro Manila and the Laguna towns of Los Baños, Biñan, Sta. Rosa, and Cabuyao. "The project is a multi-purpose road, not only expressway. There's a reclamation part for property development. That's [the] incentives for those going to bid," Yabut said. He said DPWH is finalizing the feasibility study for submission to the National Economic and Development Authority come December. "Our indicative target to bid the project is by middle of next year," Yabut said. 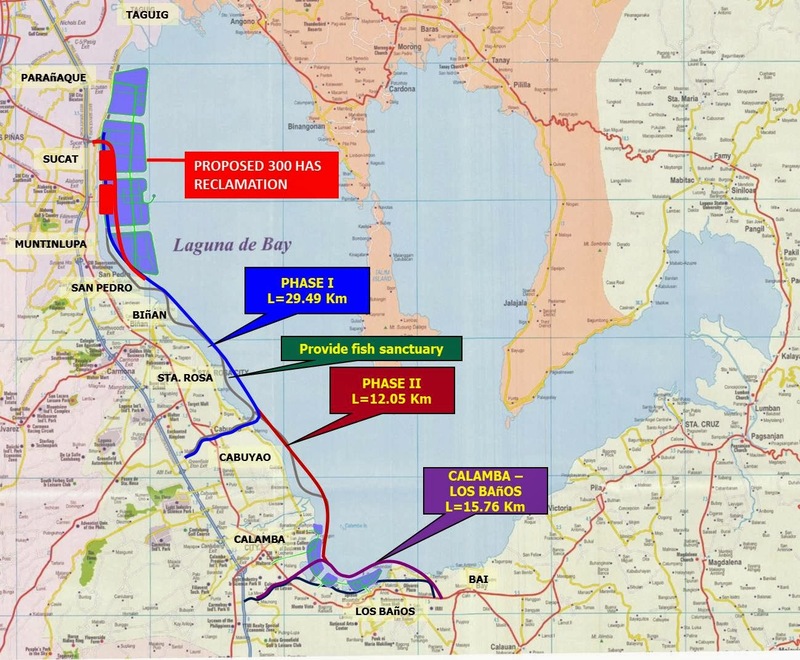 The DPWH will also bid out the ₱14.9 billion Central Luzon Link Expressway Phase 1. The project involves the construction of a 30.7-kilometer four-lane road that will diverge from the Subic-Clark-Tarlac Expressway 2.5 kilometers north of the Luisita Interchange and traverse Central Luzon in the east-west direction, then pass Cabanatuan City, and end at San Jose City, Nueva Ecija. The government will tap foreign aid – also called official development assistance (ODA) – to finance the project, while the operations and maintenance would be packaged under the public-private partnership (PPP) scheme. 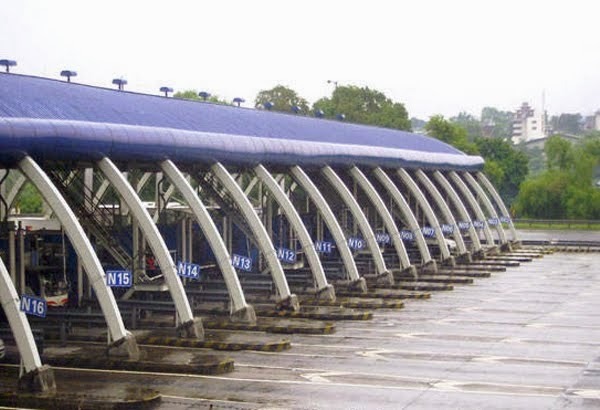 Lastly, the ₱10.38 billion Calamba-Los Banos Toll Expressway, which involves the construction of a 14.72-kilometer six-lane road that starts at SLEX Extension and go around Laguna de Bay to converge with a national road at Bay, Laguna. Earlier, the DPWH received four pre-qualification documents for the ₱35.42 billion Cavite Laguna Expressway Project. 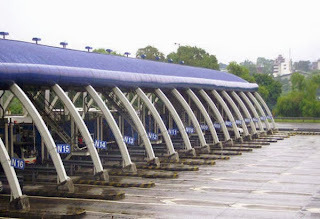 The project involves the financing, design, construction, operation and maintenance of a four-lane, 47-kilometer closed-system toll expressway connecting the Cavite Expressway (CAVITEX) and the Southern Luzon Expressway (SLEX). Optimal Infrastructure Development Inc, which is led by San Miguel Corp. The project will start from the CAVITEX in Kawit, Cavite and end at the SLEX-Mamplasan Interchange in Biñan, Laguna. CALAX is the DPWH's third infrastructure project under the government's public-private partnership (PPP) program. The first project, the Daang Hari-SLEX, was awarded to the Ayala group, while the second, the NAIA Expressway, went to Optimal Infrastructure.